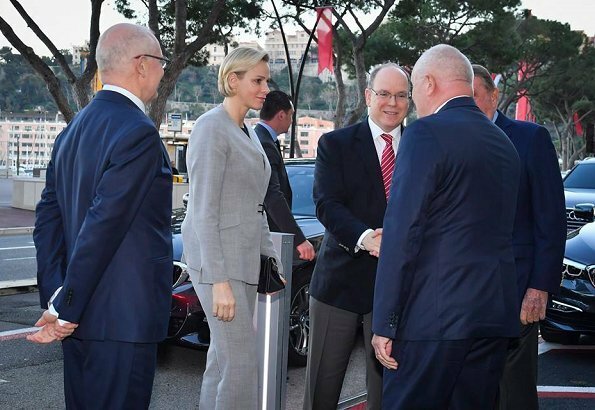 On March 20, 2019, Prince Albert of Monaco and Princess Charlene of Monaco attended the 23rd general assembly of Monegasque Road Safety Association. 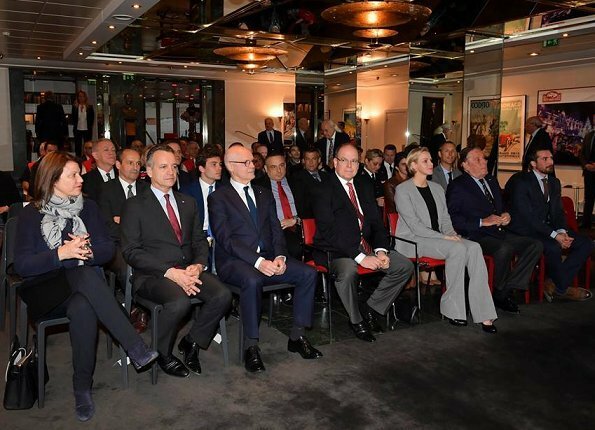 The meeting took place at the headquarters of the association. 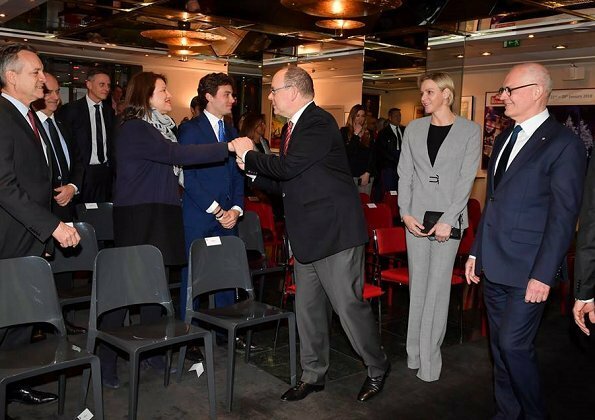 The Prince and The Princess are board members of the association. 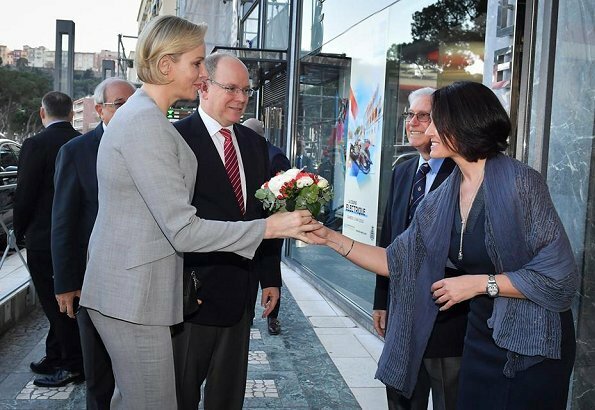 Princess Charlene wore an outfit by Akris. Great outfit - classy and elegant. On the 4th picture Charlene's feet are completely missing...very strange photoshop error. 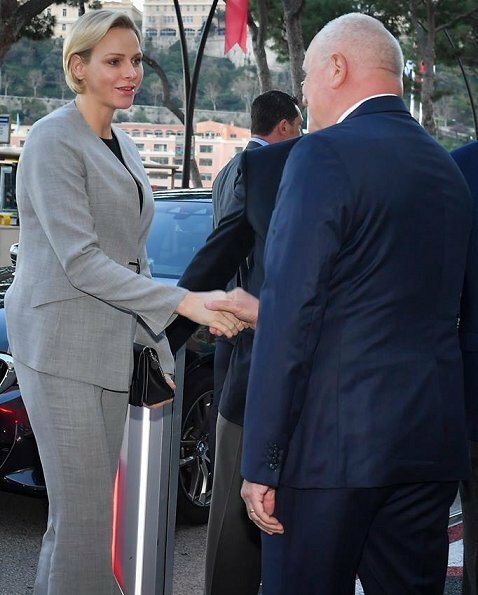 I don't think it's photoshop - just that the pant length is very long. You can see in the next photo where she is sitting down and the pants ride up that the length is still very long and you can just barely see her shoes. A collegue of mine lives in an ancient castle. There is a ghost, a white woman who walks around in some nights (not kidding!). She seems to have no feet, but then my collegue found out that in former times the floor was a bit deeper and she obviously walks on that old floor. I can ask my collegue wether the ghost lady is on holiday and went to Monaco. Rosalyn - the whole truth and nothing but. I swear! Smart and looks good for a daytime event such as this. I like her hair this length as well. 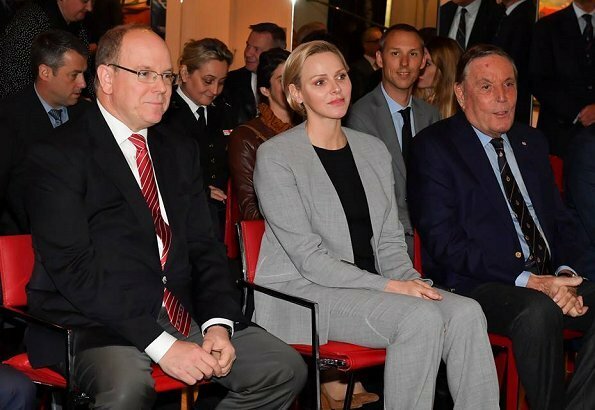 Fürst Albert und Fürstin Charlene , nicht Prinz und Prinzessin !! Une de mes princesses préférées. She looks good! She doesnt look strangely thinn as before. She looks string and healthy!